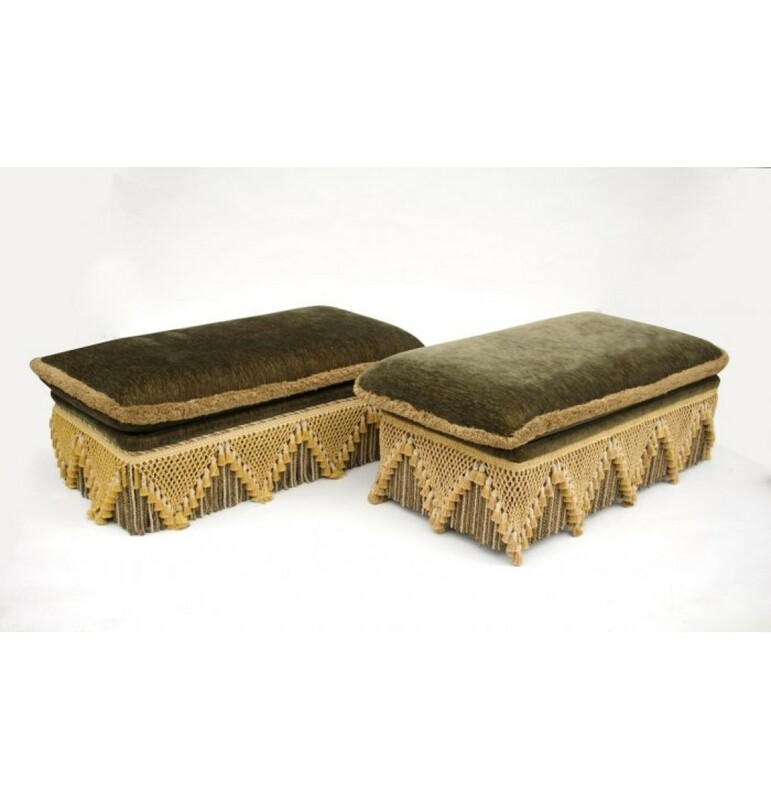 Pair of upholstered banquettes with Jacques Garcia style velvet tapestry and passementerie. France. Mid 20th century.